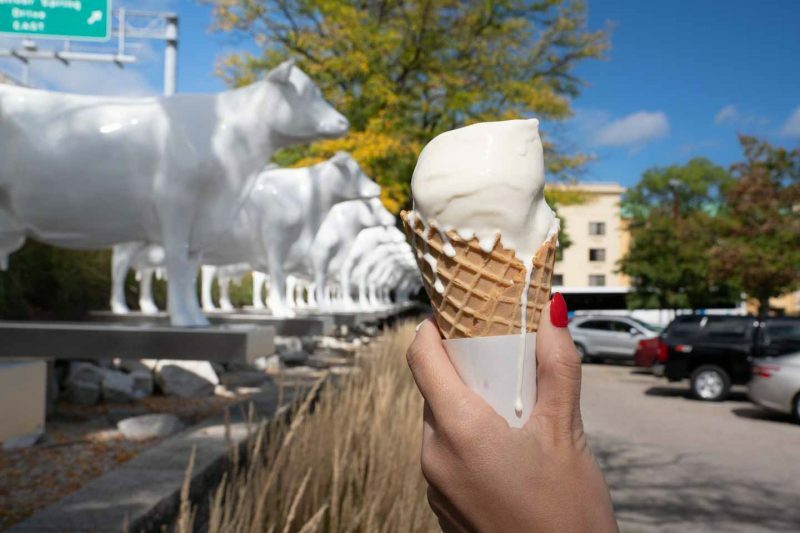 You can’t really say you’ve been to Milwaukee if you haven’t had frozen custard – and one of the best places in the city to get it is Kopp’s Frozen Custard and Jumbo Burgers Restaurants. This is a staple in Milwaukee’s Restaurant scene and it somewhere we direct every visitor to. If in doubt, go to Kopp’s – you won’t regret it! 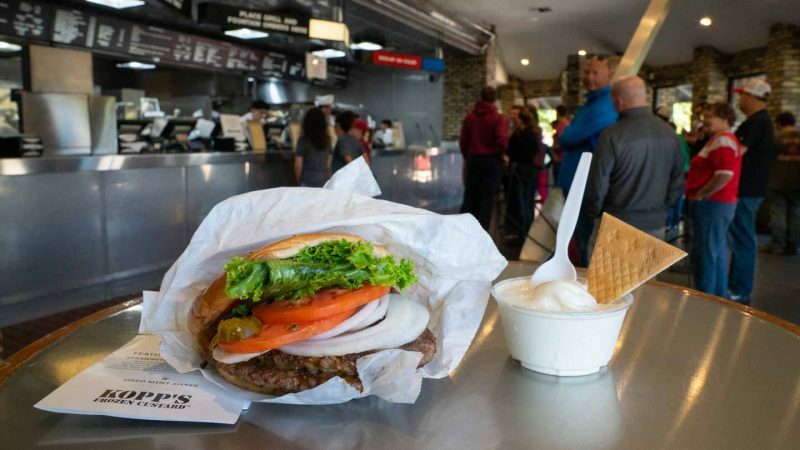 Elsa Kopps established the restaurant in 1950, and although the original location no longer exists, Kopp’s has been serving up jumbo burgers and frozen custard ever since. Now with three locations in the Milwaukee area, only a few things about the restaurant has changed, most notably its famous “flavor of the day” custard options. The frozen custard at Kopp’s is some of the best in the city. They offer a range of standard flavors daily like chocolate, vanilla, and strawberry, available in cup or cone for around $2.00. Like any good ice cream destination, Kopp’s offers numerous sundaes as well, including a banana split or the almond boy, which comes with coconut, almonds, and chocolate. Every month they also offer a specialty sundae, available in small ($3.00), medium ($4.30), and large ($5.05). Beyond a monthly specialty sundae, Kopp’s also offers a shake of the month, like Pumpkin for October, ice-cream to go ($4.50 for a pint, $9.00 for a quart), and best of all, two rotating flavors of the day. The flavors of the day are gourmet inventions by the staff, some of which are so popular they make an appearance two or three times per month. Some past flavors include tiramisu, lemon-raspberry shortbread, and cookies n’ cream. Check out Kopp’s website for a listing of daily flavors for the next month. The food at Kopp’s is just as spectacular as the frozen custard. 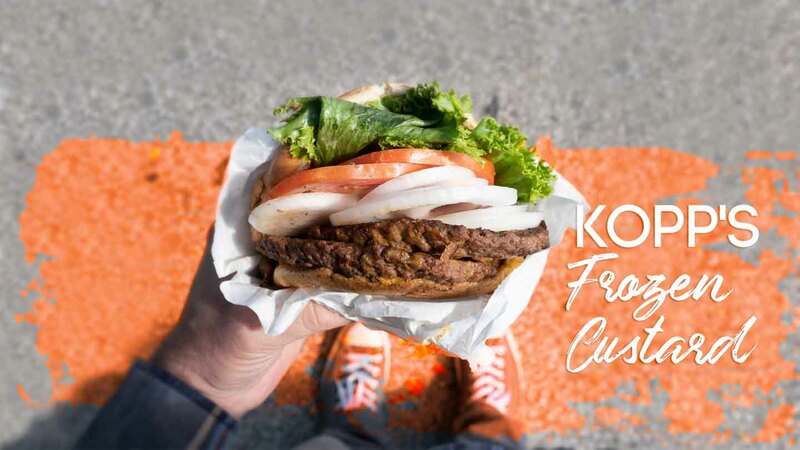 While they offer chicken sandwiches (from $5.25) and grilled cheeses (from $2.80), the best reason to head over to Kopp’s is the burgers. These well-priced burgers are known for their jumbo size, which basically means that the burger is a thin patty but larger in circumference than your average burger. Hamburgers start at $4.30, with a cheeseburger only running $4.95. From there you can extra burger patties or a range of toppings, including fried or raw onions, relish, lettuce or tomato, jalapenos, or for an added $2.00, some locally sourced bacon. Be sure to add a size of fries ($2.55) or onion rings ($2.80). With three locations around Milwaukee, it should be no problem to find a Kopp’s near you. 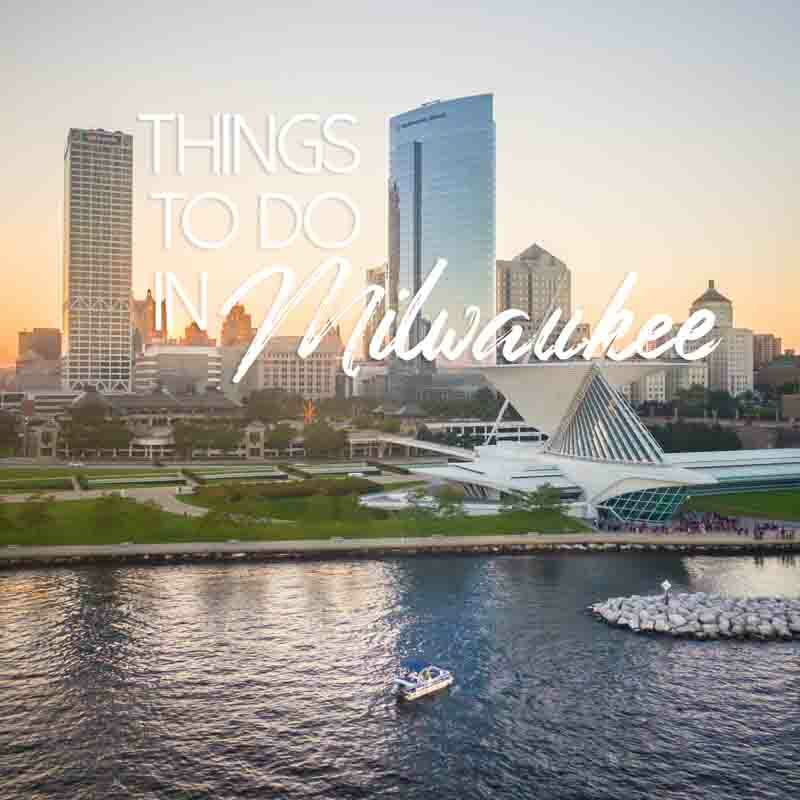 The Glendale location is near Bayshore Mall, or if looking for a drink before or after, it’s located minutes away from Sprecher Brewery and the Bavarian Bierhaus. The Greendale location is a short drive from Southridge Mall, which in addition to shopping, hosts a great microbrewery, the Explorium Brewpub. Last but not least, the Brookfield location is just down the street from another popular shopping destination, Brookfield Square Mall.